Neverending Nightmares on the Playism Store | Bringing a different breed of indie game to the world. Turn off the lights, put on headphones and get lost in the terrifying world of Neverending Nightmares. Explore a man's mind and survive his nightmares in this highly stylized horror adventure game. TURN OF THE LIGHTS, PUT ON HEADPHONES AND GET LOST IN THE TERRIFYING WORLD OF NEVERENDING NIGHTMARES. Neverending Nightmares is an indie psychological horror game that focuses on immersing you in a bleak and terrifying world of nightmares. In the game, you take on the role of Thomas who awakens from a terrible nightmare only to find that he is still dreaming. As he descends deeper through the layers of hellish dreamscapes, he must hide from horrifying apparitions and outrun his inner demons. He must discover which of the horrors he encounters are a manifestation of his own psychological state and figure out what reality will be when he finally wakes up. The controls are simple. You can walk, sprint (albeit with limited stamina due to your asthma), and interact with objects. The focus of the game is on exploring the terrifying atmosphere, but there are also horrific enemies you must hide from or evade. One of the challenges of the game is to try to determine the truth about Thomas as you play through nightmares caused by his troubled psyche. Each nightmare changes the world in some way. Some seem familiar, but others are shockingly different. Neverending Nightmares is an indie terrifying psychological horror game inspired by the creator’s real life battle with depression and obsessive-compulsive disorder. Neverending Nightmares is a very personal project where I tried to capture the feelings of struggling with mental illness through the gameplay. I’ve had some very dark times in my fight with OCD and depression, but I was unable to adequately share my feelings with others. Through the bleak and oppressive atmosphere of the game, I hope to demonstrate what I’ve felt. The game has been designed to disempower the player. Thomas, the main character, suffers from severe asthma, so he can’t run away from his pursuers for very long. He is constantly thrust into new nightmares without a clear goal of what to do and forced to wander through the world without knowing what’s going on. The entire game is told through nightmares because life can feel like a nightmare to a depressed person. As well, mental illness affects the way we perceive the world. It is hard to see reality for what it is, so it is can be challenging to see rationally where the mental illness ends and reality begins. 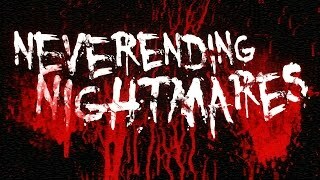 What do you think about Neverending Nightmares? Matt Gilgenbach founded Infinitap games in 2011. He was previously the co-founder of 24 Caret Games, the developer of the award winning rhythm shmup hybrid game Retro/Grade. Much of the development team at Infinitap worked on Retro/Grade as well. While Retro/Grade received a warm critical reception, it had a difficult development cycle and was unsuccessful financially. Matt was sent into a deep depression and was inspired to make a game that would express his feelings. The horror genre was the perfect fit for expressing the fear and anxiety that Matt felt. The team bet everything on Neverending Nightmares and when they ran out of funds, they turned to kickstarter as a final effort to see the game made. After a challenging campaign, Neverending Nightmares was fortunate enough to be funded on the last day.